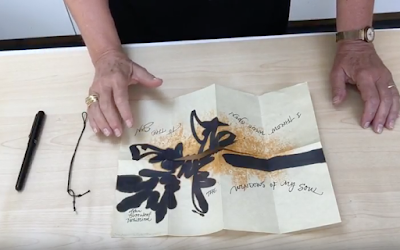 Here's a Show & Tell of a hanging hot dog book made from a piece of paper with a brush drawing on it. You can use paper with any kind of mark making with any media. Here's how to make the basic hot book. And here's how to add a hanger. Feel free to share this information. The more bookmaking in the world there is, the better place it will be!